The new KH Hair Colour Team, dedicated to couture colour creation, debuts its first collection shoot this month with a quartet of stunning new images. The expert colour team, headed up by Wella Master Colour Expert Louise Wagstaffe, carried out its first photoshoot recently to demonstrate the wide range of technical and creative skills within the team. 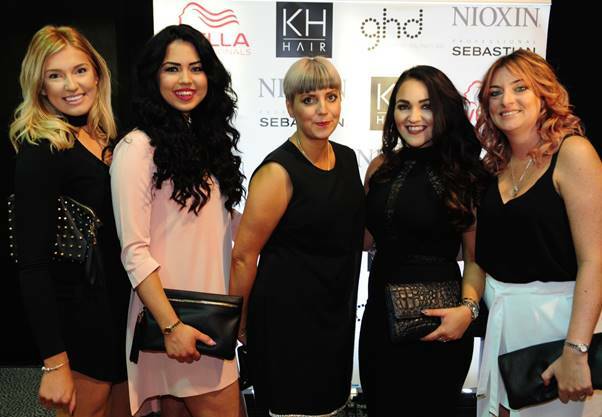 The team, which was unveiled in September, is focused on creating a centre of excellence for colour, attending shows and training courses whilst working with KH Hair’s 22 salons and barbers to ensure the quality of colour care remains the very highest level. Full Colour Team: Louise Wagstaffe, Emma Swindell, Hayley Chadwick, Kerry Smith, Jo Read and Joanne Roe. The Colour Team are on the look out for opportunities with leading industry bodies to grow their profile and are available for masterclasses, photoshoots and backstage work nationwide.